2 Which drawing tablet would be the Best Drawing Tablet for You? I have seen people do some amazing things with a graphics tablet. If you are a 3D artist or a graphic designer, or a professional illustrator of some kind, then you are most likely going to want the Best drawing tablet you can get your hands on, I know I would. However, if you’re just getting your feet wet, and you want to learn a little bit about the type of drawing tablet that would be good for you, then you’ve come to the right place. In this article, I have outlined a few things that you should certainly think about if you want to purchase the best drawing tablet to fit your needs. Before we start looking at the different factors that may need to be considered, the first thing I want you to think about is your skill set. Are you a skilled illustrator, a professional artist or just someone who really likes to sketch, and create your own digital characters, and images? Your creative skill set is directly proportionate to the size and type of digital drawing tablet that you should consider buying. As your skill level increases, you will want to upgrade to the best drawing tablet available. Let’s talk about size. Some people believe the bigger the better. In our situation here that may not always be true. Because, as the size of the graphics tablet increases, so does the price tag. There are Digital Drawing Pads that are designed to fit any need, and any budget. The choice is yours. These digital drawing tablets are also known as Pen tablets and they come in a variety of different sizes. The typical dimensions of the smaller pen tablets are 4”x 5” drawing surface, and a 6”x 8” surface which adds up to approx. 48 square inches of drawing space. However, The Wacom Intuos 4 extra-large Graphics tablet is sporting a whopping 218.4 SQ. inches and is known as the largest pen tablet. However, The Wacom Intuos 4 extra-large Graphics tablet is sporting a whopping 218.4 SQ. inches and is known as the largest pen tablet. This tablet comes with a Huge workspace and is usually preferred by those that like to work on large scale projects. That adds up to a screen that is approximately 18” x 12” of drawing surface. That’s a pretty good size drawing tablet. the Intuos 4 extra large has 8 built in HotKeys that are illuminated and provide easy access to the functions that you assign. The pressure sensitivity has 2048 levels and will respond to a very light touch as well as recognize the degree of tilt that you apply to the pen. The tilt sensitivity will respond up to a 60-degree angle of tilt. The overwhelming consensus is that these Intuos Pen Tablets, absolutely increase productivity and re-invents the digital art creation experience. Another thing to think about with the tablets that are larger is the difference in arm movement. The smaller the tablet, the less you will be making the long strokes that require moving your arms so far. Also, the smaller the tablet, the easier it is to take it with you when you want to take your drawings with you. How your pen tablet interfaces with your computer is made real easy now that all of the newer computers come with built-in USB ports. This will also enable you to connect your drawing pad to just about any computer you want to if you happen to stop by a friend’s house to show them your new toy. But you may also want to consider a wireless connection. If this is the case you will want to ensure that your new tablet supports a Bluetooth connection. You may also want to consider a serial interface, as you may run into a computer that doesn’t have USB ports. I don’t really think this will ever happen to you, but in the off chance that it does You will need to be careful as a serial connection gets its power from an adjacent source, Unlike the USB connection. Wacom already has the wireless Bluetooth support built into many of the devices they make, and as the world continues to drive towards wireless connectivity many manufacturers will be incorporating this interface with their drawing tablets as well. This is referring to the pressure that is applied directly to the drawing surface while you are sketching or drawing with the Pen Stylus. The aspect of sensitivity goes right along with the necessary application of pressure as you are drawing. These two factors are the contributing elements that define, and produce the effects such as Line thickness and color or transparency. Almost all of the best drawing tablets available today have a variety of pressure sensitivity settings. The most common settings are 256, 512, 1024 and can go as high as 2048. The increase in responsiveness of the graphics tablet is directly proportionate to the increase in pressure sensitivity of the drawing surface as you draw or sketch with the pen directly on the high definition screen. There are a number of programmable features that are quite common with some of the best drawing tablets and pen stylus,s. These typically include switches on the side of the pen that can be designated for different utilities such as the drawing tool, either a paint brush or a fine line tool or possibly an eraser. 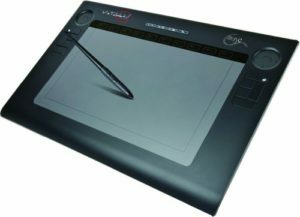 On the graphics tablet itself, there are usually express keys that can be designated to perform different functions as well to help you perform different tasks with the touch of a hot key. Most of the higher quality graphics tablets also have a touch ring which is much like the touch pad on a laptop computer and may be programmed for tasks like zooming in and out or canvas rotation. You can most likely also program it to increase line thickness or switch between drawing tools if you have a specific few that you use on a regular basis. The touch ring is pretty much the same as a hot key except that it’s circular and you use it much like you use the touch pad on your laptop. There are a lot of different sizes and types of Digital Drawing Pads on the Market today and they have all made some serious advances in user friendliness as well as technological advances over the last decade. 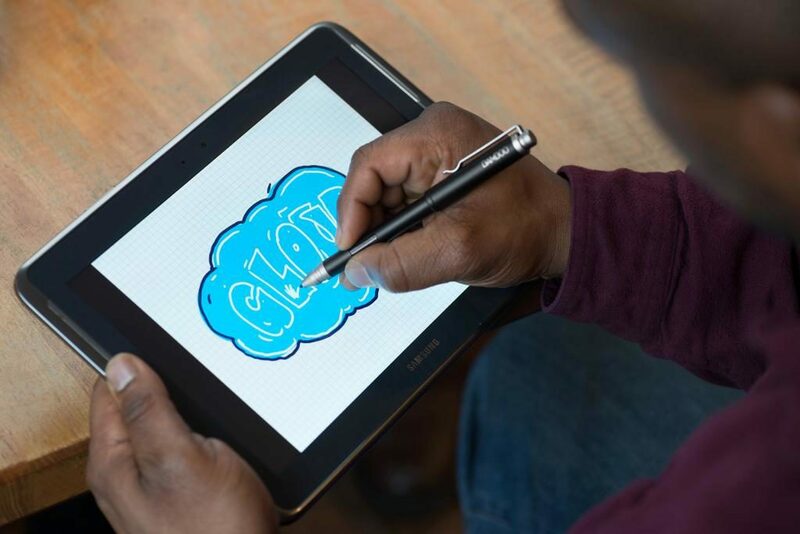 Which drawing tablet would be the Best Drawing Tablet for You? The answer is completely dependent upon your personal preferences, and your needs. I have put together a few options that are sure to please the professional artist as well as the person who just wants to experience the fun of creating digital art and may want to take their creativity to the next level. Your Options are too numerous to mention them all, so here are just a few. These two touchscreen tablets are Ideal for professionals. 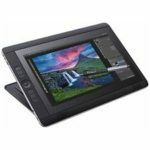 They both come with a very good high definition display and resolution that has Multi-touch functionality that allows the artist to dive in with both hands and get extremely creative. I really like both of these. 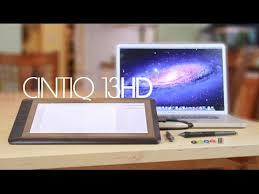 The Cintiq 13 is slim and compact, and also comes with a high definition display. If you are somewhat of a beginner, then this tablet is a great choice to help you get started. This incorporates the use of a Cintiq pen stylus with a windows 8 tablet. Pen Power’s Monet, and Picasso are the way to go if you are into professional digital art. And you can give their more affordable brand TOOYA PRO a look as well. This will also give you a stylish touch. This digital art board stands out with its unique flexible tablet; it’s a choice that you can’t afford to overlook. Its PenPad is ideal for digital art development, Not to mention its Low price. This can be an excellent drawing tablet for beginners. It doesn’t matter if you are a professional digital artist, a graphics designer or you just like having fun sketching and drawing. Having the perfect tool / toy is going to allow you to have the best experience while you are drawing and creating your digital art pieces. Whatever you plan to do with your digital drawing tablet, you are going to want the best one for bringing out your creativity. The ideal size, type and the best suited for your specific needs will help you achieve your digital art creating goals. I sincerely hope that you found this informative and that it actually helped you on your quest for finding the Best Drawing Tablet to fit your style and your budget.